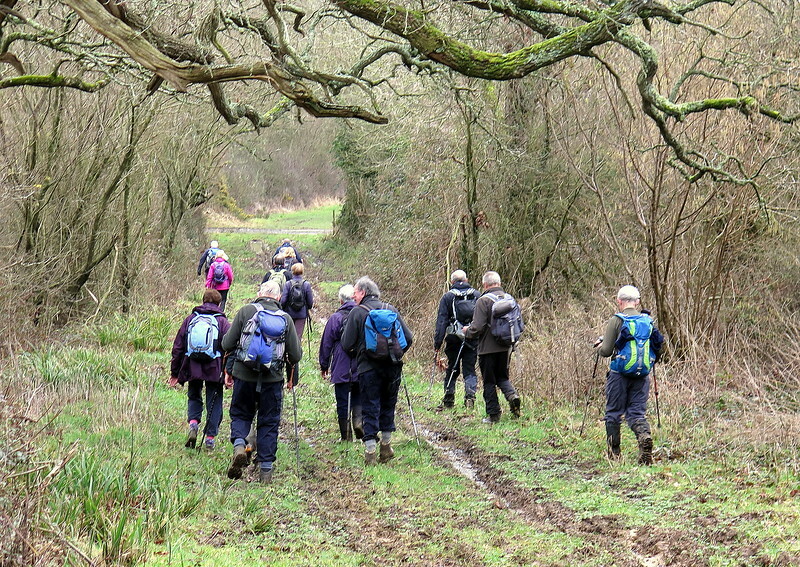 These are a few photos from a 10.8 mile walk with South Dorset Ramblers on 25 February from Evershot in Dorset (thanks Mike). 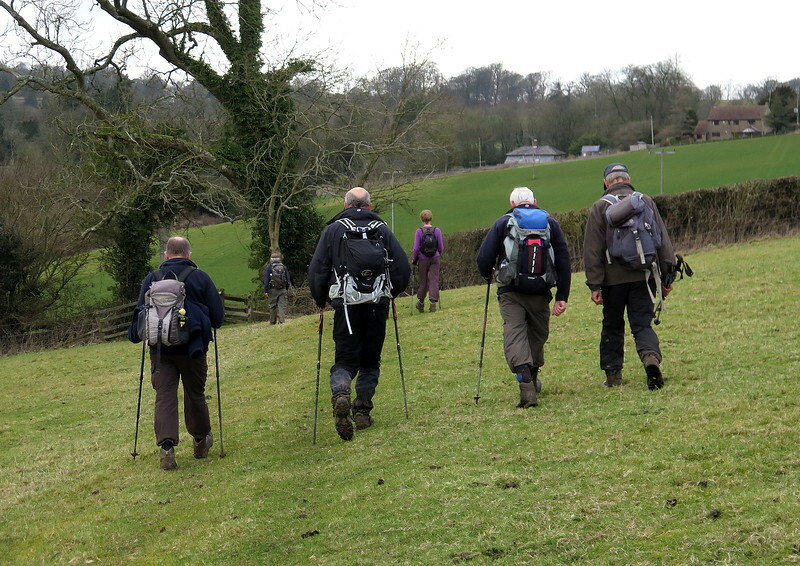 The weather was overcast and drizzly at the start but the cloud thinned until lunch when we basked in sunshine. 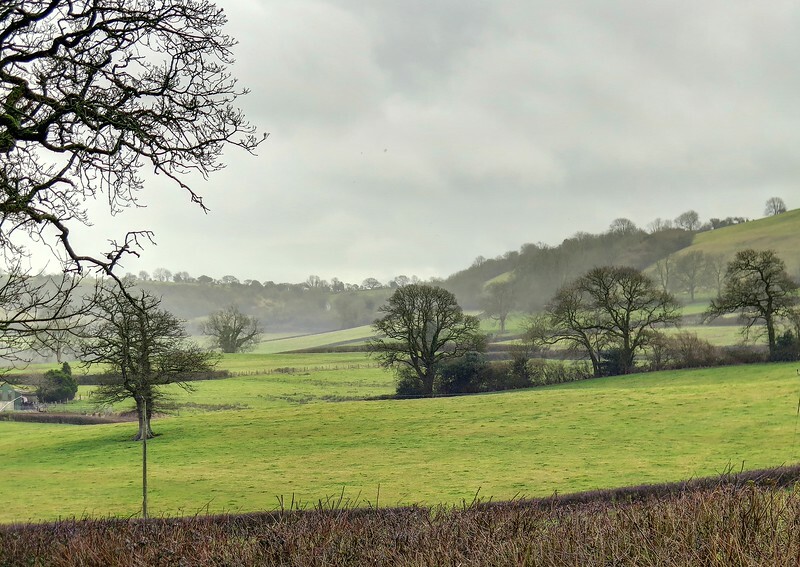 It didn't last long and cloud rolled in again during the afternoon but it remained mostly dry. The main feature of the weather was the temperature - up to about 14 degrees - much warmer than recently. 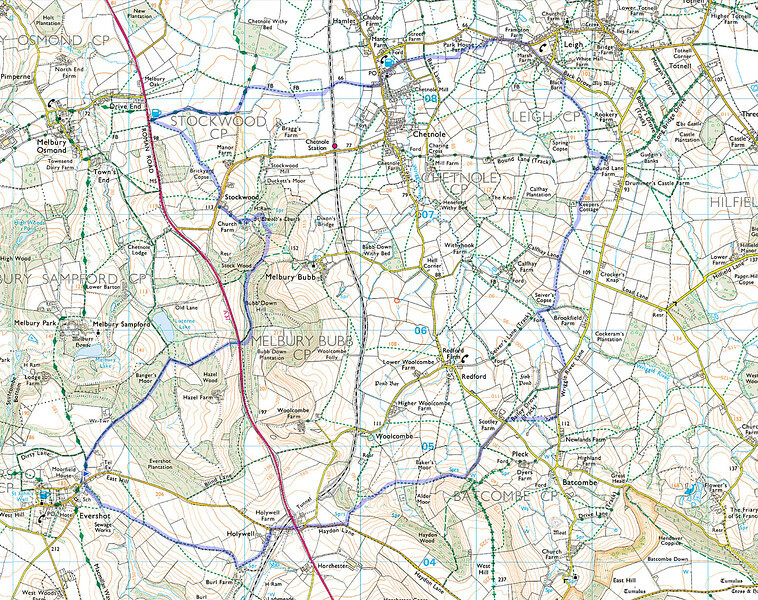 We did the walk clockwise from the blue flag in Evershot along the recorded route in blue. 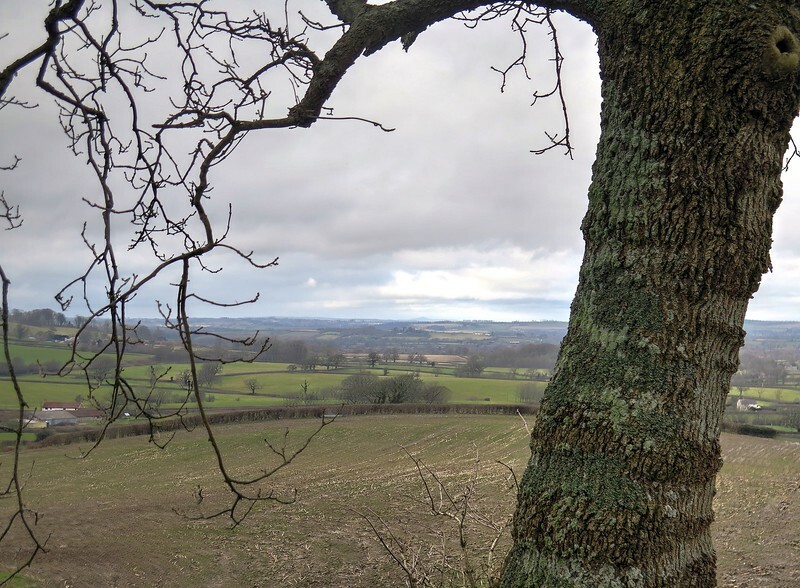 The view North from Bubb Hill Down. 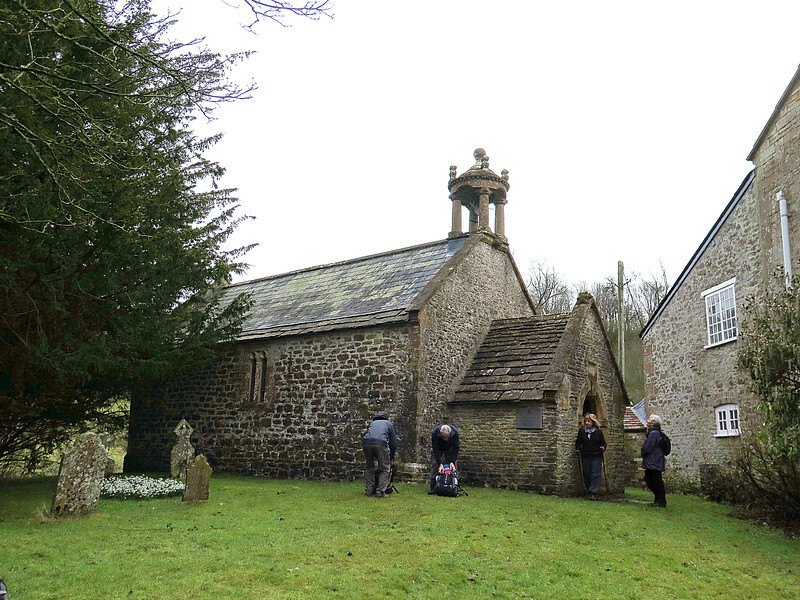 The charming St Edwold's Church at Stockwood, often described as Dorset's smallest. 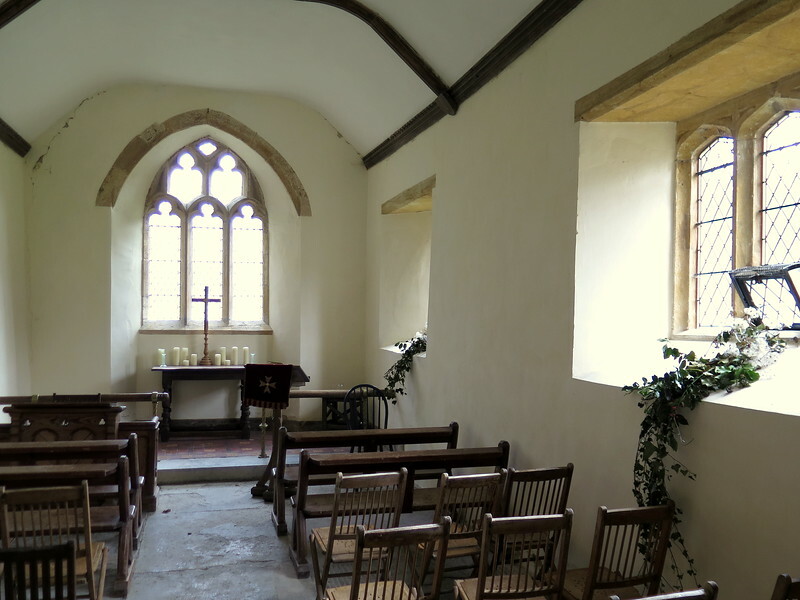 The simple interior of St Edwold's Church. 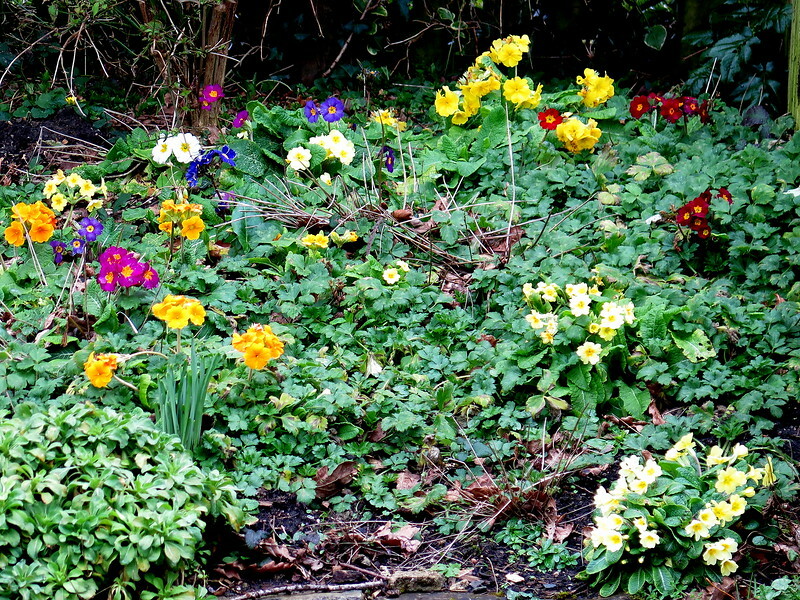 Signs that spring is just around the corner! Some of the plentiful mud on the walk. 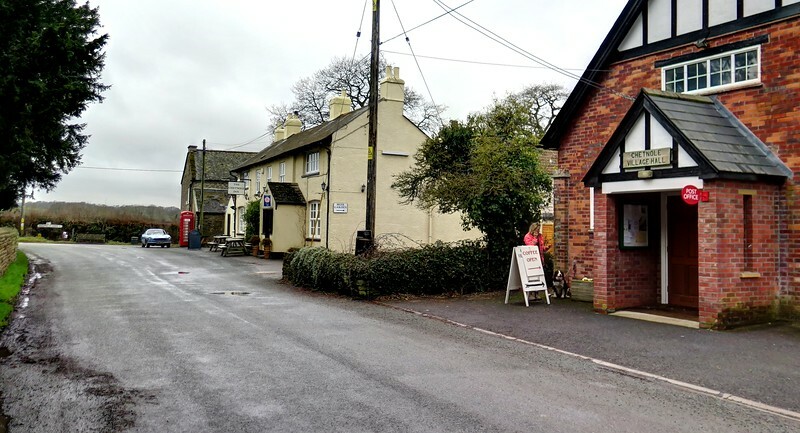 The bustling high street at Chetnole. One of the interesting farm buildings in Chetnole. 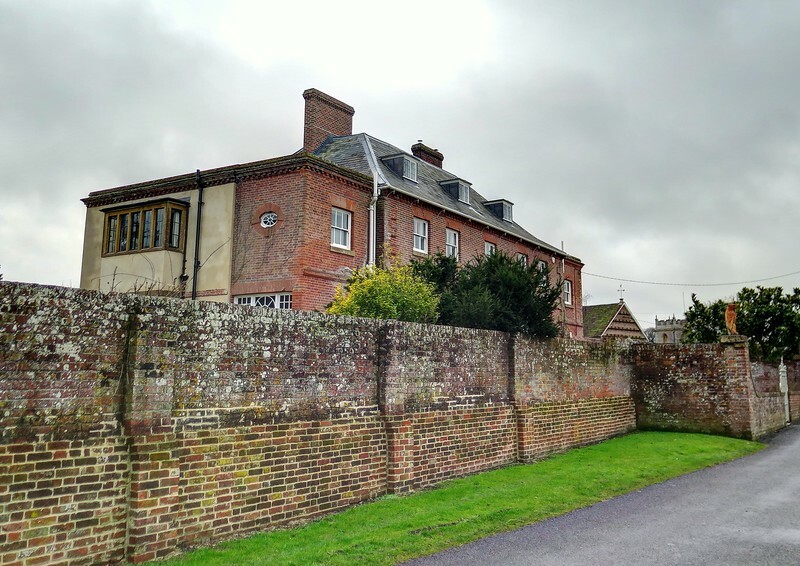 Note the dovecote on the end elevation. 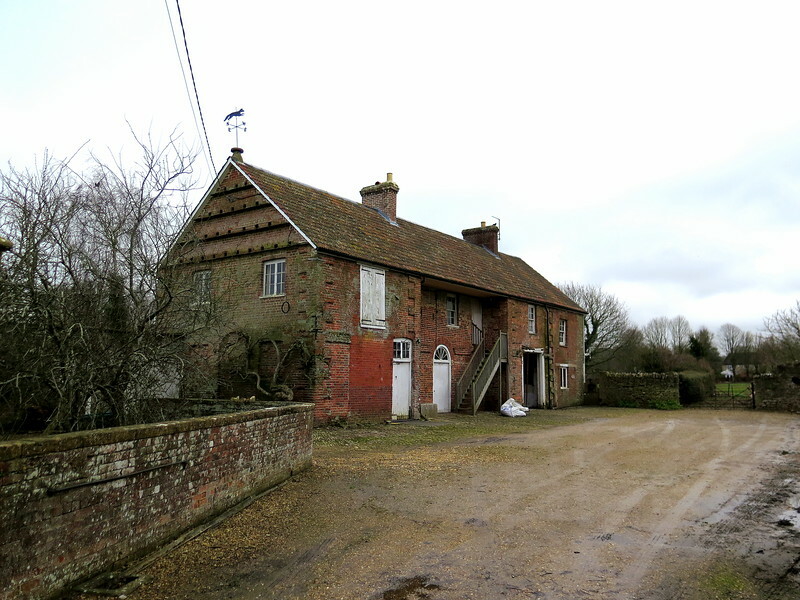 It was at a farm in Chetnole in 1774 that Benjamin Jesty, living nearby at Yetminster, first introduced cowpox serum into scratches that he had made on the arms of his wife and two sons, thereby inoculating them against smallpox (I wonder how they felt about that?). 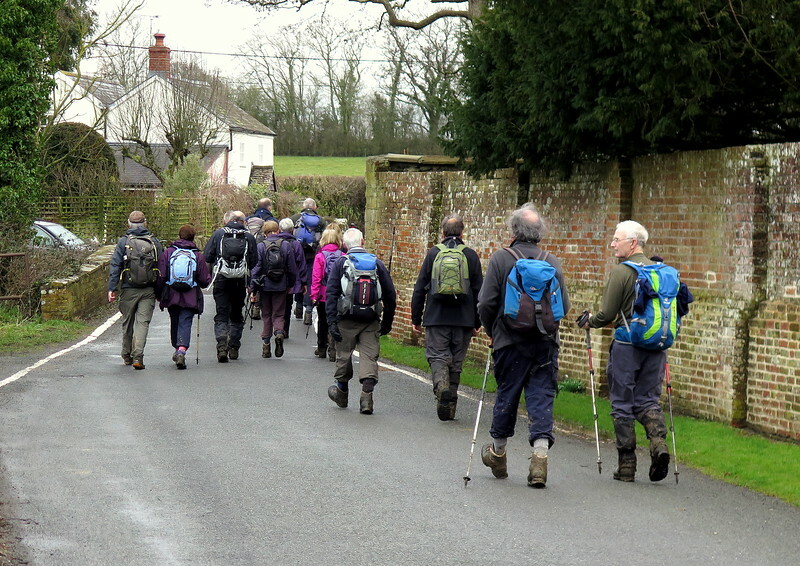 The group stride through Chetnole. 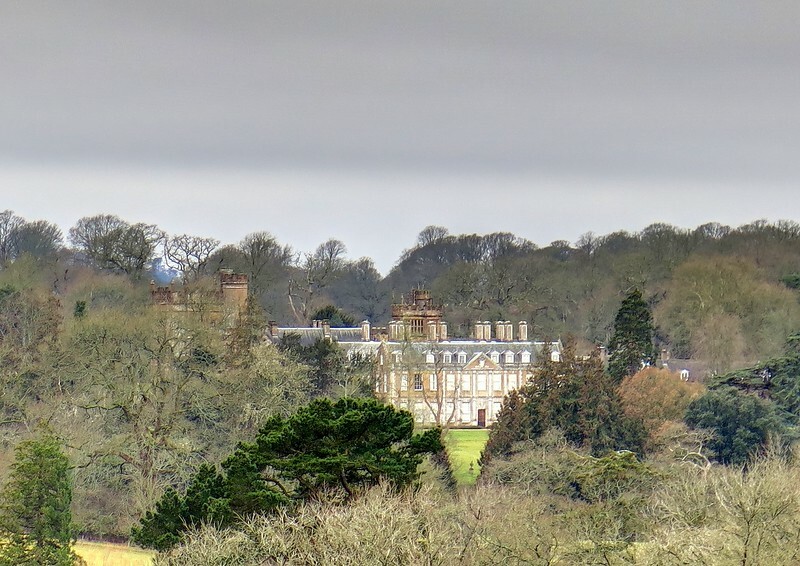 Chetnole House, quite a mixture of architectural styles. 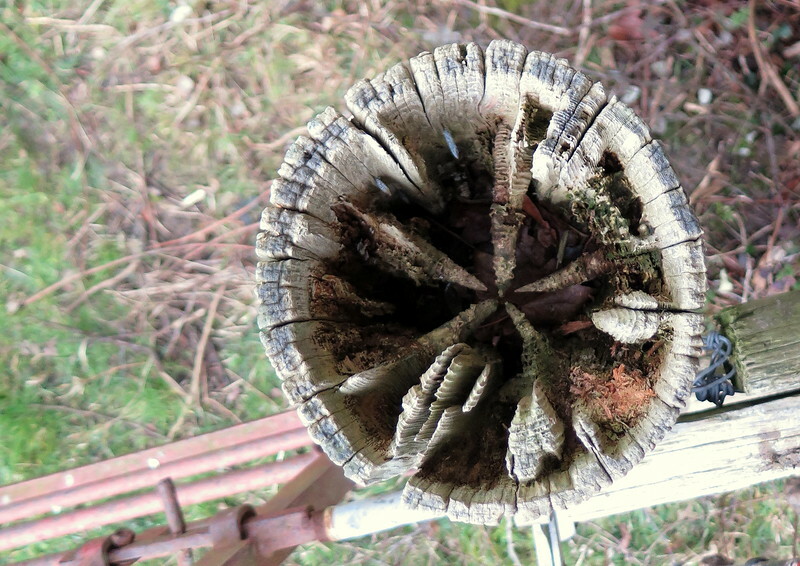 This is a photo looking down onto the top of a fence post at a stile. The weather has attacked the soft wood leaving the harder knot wood behind in this interesting star shape. 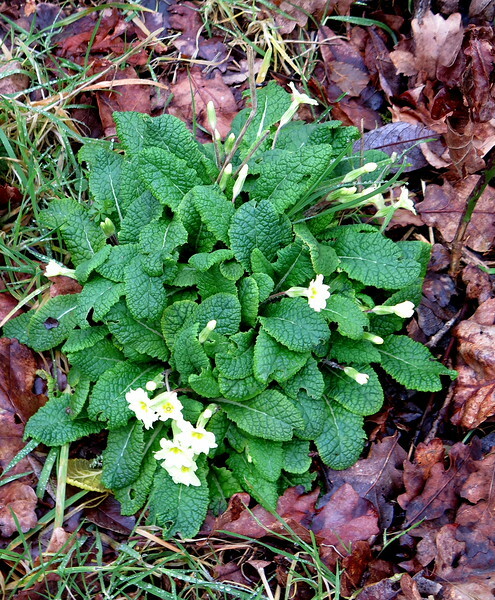 Primulae blooming in the garden of a cottage next to the path. 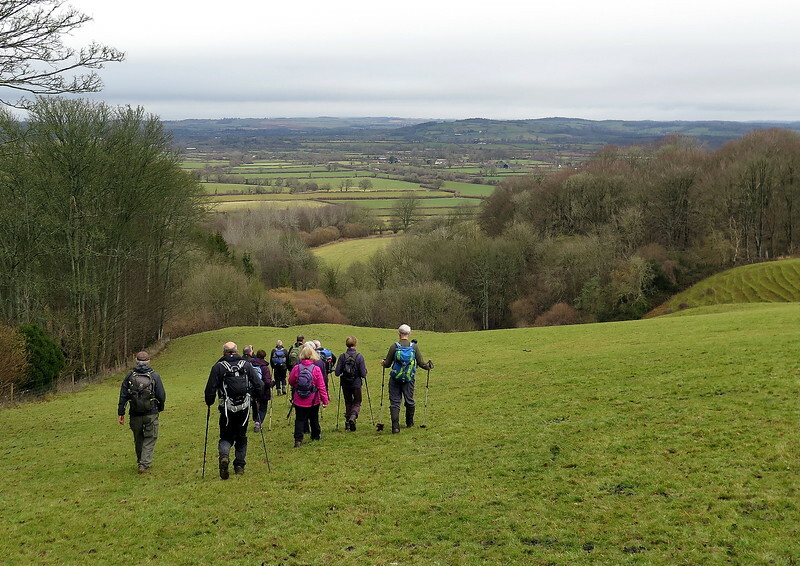 On the horizon near the centre of the picture is the distant view of Glastonbury Tor. Not too far to go now.